Traditional bridal white silk roses are blended with our realistic looking natural green rose leaves to create our cascading white rose bouquet. Our white silk roses have a realistic look and elegance to them. You will feel confident carrying this elegant and flowing white silk rose cascade. 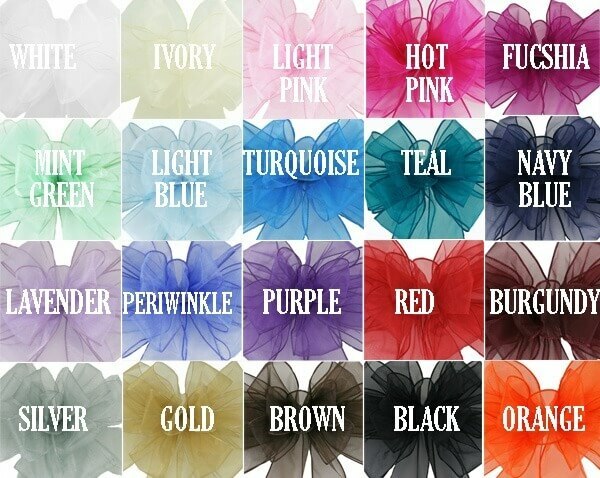 What color says romance and elegance better than white? 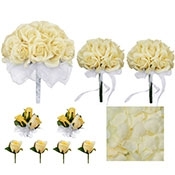 This impressive bridal bouquet, with its gorgeous white silk roses and greenery, will make any bride feel like a fairytale princess. 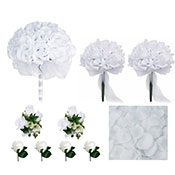 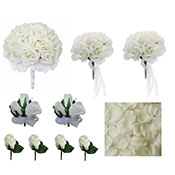 If you're looking for a wedding bouquet that is low in price, high in quality, and beyond comparison in beauty, the White Silk Rose Cascade should be your number one choice. 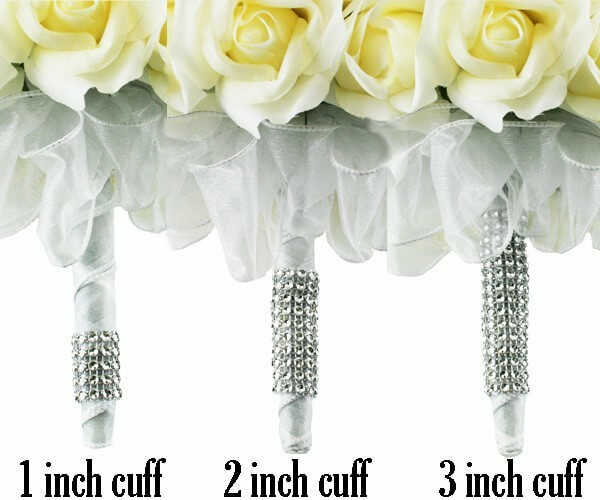 This cascading bridal bouquet is full and voluptuous and sure to make the elegant statement you're looking for. Make this bouquet even more beautiful and add some of our bouquet jewels to it. 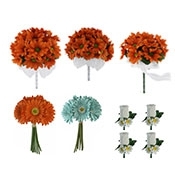 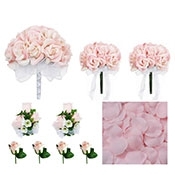 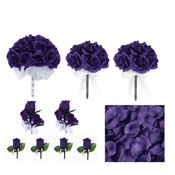 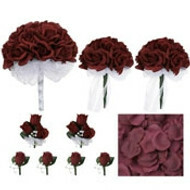 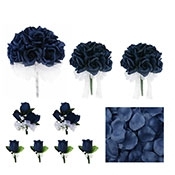 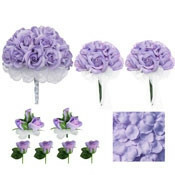 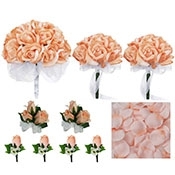 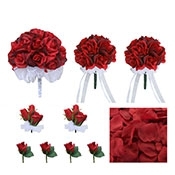 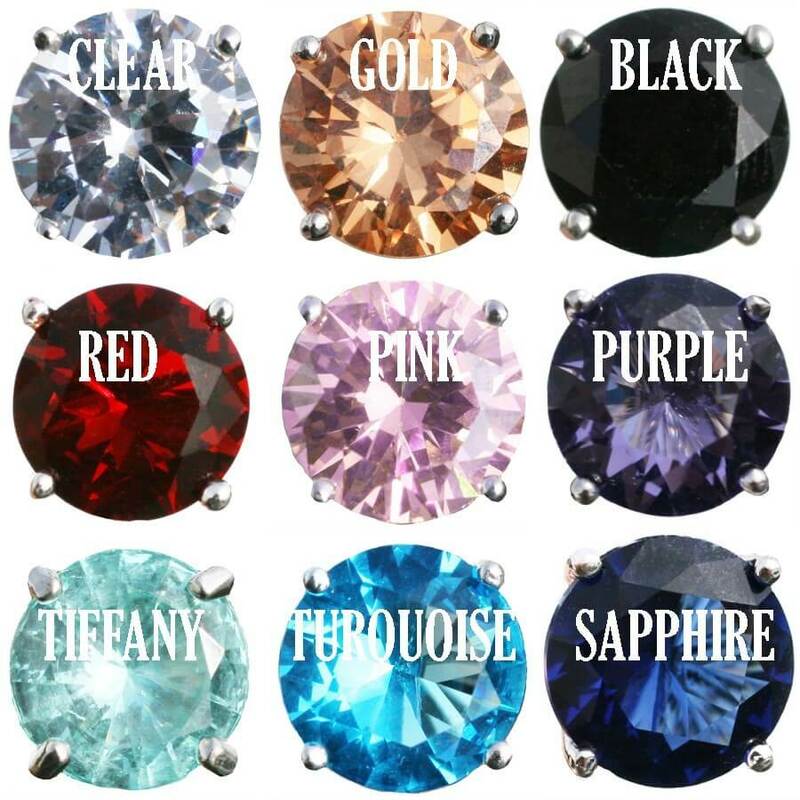 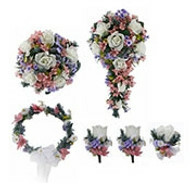 Available in 10 colors and all of them look stunning with white roses. Our realistic looking silk roses make this bouquet look even lovelier than ones made with fresh flowers. Always vibrant and never wilts, this bouquet is among the best.